On June 19, 1990, about two hundred miles south of our 2018 Annual Meeting in San José, the town of San Luis Obispo passed the first municipal ordinance banning smoking in all public buildings including stores, restaurants, and bars. Thus began a dramatic cultural shift in the United States that transformed indoor smoking from personal prerogative to proscribed practice. Fragrance could well be the secondhand smoke of the twenty-first century. Since 2011, the American Anthropological Association has included a fragrance-free request in the Annual Meeting program and when we meet in San José this November, you will see prominent signage as a reminder. 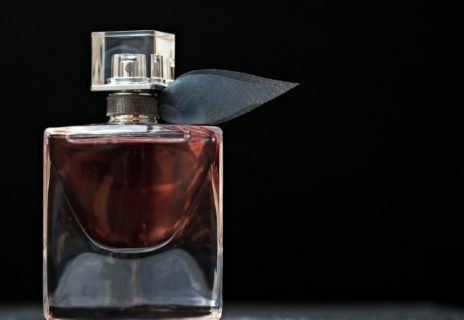 According to a prevalence study published this year, roughly a third of the general population find synthetic fragrances cloying or unpleasant. Among the 8–15 percent of people who suffer from asthma and allergies, they are more seriously irritating. For a smaller group (about 1–3 percent, roughly the same prevalence as peanut allergies), exposure to other peoples’ fragrances is truly debilitating—triggering migraines, hives, asthma attacks, memory problems, even anaphylactic shock. I was once in the first category, but did not realize it. As a poor graduate student in Berkeley in the early 2000s, I just bought the cheapest brand of Suave shampoo at the Grocery Outlet and wondered why I had chronic sinus infections. Things such as phthalates, volatile organic compounds (VOCs), and cholinesterase inhibitors had not entered my vocabulary. I began to notice “fragrance-free” signs in medical and governmental offices across town. Puzzled, I dialed up my modem and learned the notices were for people disabled by “multiple chemical sensitivities” or MCS. I distinctly remember feeling a surge of pity and wondering, “Gosh, how can they cope with modern life?” I never imagined it would happen to me. Then, after going through chemotherapy for aggressive lymphoma during my first year as a professor, my body decided it had had enough chemical exposures for a lifetime. Other peoples’ perfumes began to give me shiny migraines, swollen lymph nodes, brain fog, and other worrisome symptoms for a cancer survivor. Now, as a professor at a much larger public university, students’ and colleagues’ fragrances are the bane of my existence. Due to these acquired sensitivities, I rarely travel, except for the beloved AAA Annual Meeting. Even then, I spend a lot of time outside to recover from the collective effects of cologne, perfume, and scented fabric softener. By the end of the day, my joints and bones hurt more than when I had dengue fever during fieldwork in Guatemala. I have no idea exactly what triggers this inflammatory response. The dirty secret is the Food and Drug Administration does not require the fragrance industry to disclose the three thousand or more synthetic chemicals stewed into their recipes. Protected as a corporate trade secret, “fragrance” is nothing more than a vague catch-all term, like “natural flavors” in food. To help scents waft farther and longer, chemists attach them to plasticizers such as phthalates and other petroleum derivatives such as toluene, xylene, and acetone. These are all volatile organic compounds (VOCs) that form gases at room temperature. When exposed to ozone, VOCs such as limonene can convert to formaldehyde, a known carcinogen and the industrial solvent used for embalming bodies. Scented fabric softeners emit numerous VOCs including benzene—yes, the first industrial solvent linked to cancer in the early twentieth century. Children are especially at risk from the neurotoxins and hormone disruptors in fragrances. Prenatal exposure to phthalates in fragrances and cosmetics may have an adverse effect on children’s behavior and attention. In 2015, a British teen died from asphyxiation from butane fumes after applying too much Body Axe. Several premier medical institutions have read the science and established proactive fragrance-free policies. They include the Centers for Disease Control, Brigham and Women’s (Harvard’s teaching hospital), the American Lung Association, and the American Academy of Environmental Medicine. Scent-aware Canadians have widespread fragrance-free polices in government offices, businesses, transportation systems, performance spaces, hospitals, and several universities. The US list is more eclectic (from Detroit city offices to Portland State University) and composed of institutions like the AAA that responded positively to concerns from scent-sitive folks like me. Abstain from using the heavy hitters: perfume, cologne, aftershave, body sprays, and scented lotions. Air out your dry cleaning. Of course, synthetic scents are concealed in dozens of products including shampoo, sunscreens, lotions, hairspray, laundry products, and almost all cosmetics. For colleagues who want to go the mile, the Environmental Working Group provides searchable databases that make it easy to check the hazards contained in your personal care, home cleaning, and laundry products. Be sure to look for products with “fragrance free” on the label because “unscented” products often contain chemicals to neutralize the smell of other hazardous ingredients. For your sake, and for others’, switch to fragrance-free laundry products and skip the fabric softeners in the weeks leading up to the Annual Meeting. We’ll all feel better, think more clearly, and have a more enjoyable Annual Meeting for it. Liza Grandia is associate professor of Native American studies at the University of California, Davis, where she directs the Indigenous Research Center of the Americas. She was a 2017–18 Mellon “New Directions” Fellow for her new work on toxic trespass.